2015 March 18: From March 18-24, stores will offer events, limited edition beauty bags, facial care sales and more! Whole Foods Market hosts first-ever ‘Beauty Week’ in all stores From March 18-24, stores will offer events, limited edition beauty bags, facial care sales and more! Whole Foods Market kicks off its inaugural “Beauty Week,” March 18 through 24, to celebrate all things beauty related. Store Whole Body departments will host events, classes, demonstrations and promotions to inform shoppers about Whole Foods Market’s large selection of quality personal care products and cosmetics that support healthy people and a healthy planet. “Our beauty department is really growing at Whole Foods Market and we’re excited to spotlight new products and showcase customer favorites in our stores this week,” said Maren Giuliano, executive global Whole Body coordinator. 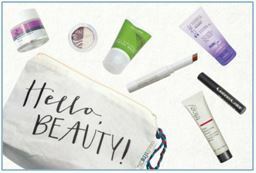 During “Beauty Week,” all Whole Foods Market locations will offer a limited edition “Hello, Beauty!” bag for $18 (valued at $60), beginningSaturday, March 21, at 10 a.m. local time. Bags are made with 100 percent cotton recycled saris from RIJI Green, a business committed to ending human trafficking. Each Acure Cell Stimulating Facial Mask, Giovanni 2chic Ultra Repair Shampoo, Pacifica Eye Shadow Duo or Lipstick, Trilogy Vital Moisturizing Cream and Gabriel Mascara, plus $5 in beauty coupons. From March 20 to 22, shoppers will save 25 percent on all facial care items at Whole Foods Market. Whole Foods Market has been lauded for its beauty department standards over the years. In 2012, the company was named “the leading national retailer” in personal care product safety by the Campaign for Safe Cosmetics. The grocer was also named runner-up in the Sustainable Beauty Awards’ “Sustainable Leadership” category in 2014. Last month, Giuliano was named one of the “50 Most Powerful Women in Beauty” by Women’s Wear Daily. The retailer also set its own standards for organic labeling on personal care products, as there are no mandatory government standards for the “organic” label claim on body care products. Founded in 1980 in Austin, Texas, Whole Foods Market (wholefoodsmarket.com, NASDAQ: WFM), is the leading natural and organic food retailer. As America’s first national certified organic grocer, Whole Foods Market was named “America’s Healthiest Grocery Store” by Health magazine. The company’s motto, “Whole Foods, Whole People,Whole Planet®” captures its mission to ensure customer satisfaction and health, Team Member excellence and happiness, enhanced shareholder value, community support and environmental improvement. Thanks to the company’s more than 87,000 Team Members, Whole Foods Market has been ranked as one of the “100 Best Companies to Work For” in America by FORTUNE magazine for 17 consecutive years. In fiscal year 2014, the company had sales of $14 billion and currently has more than 405 stores in the U.S., Canada and the U.K. 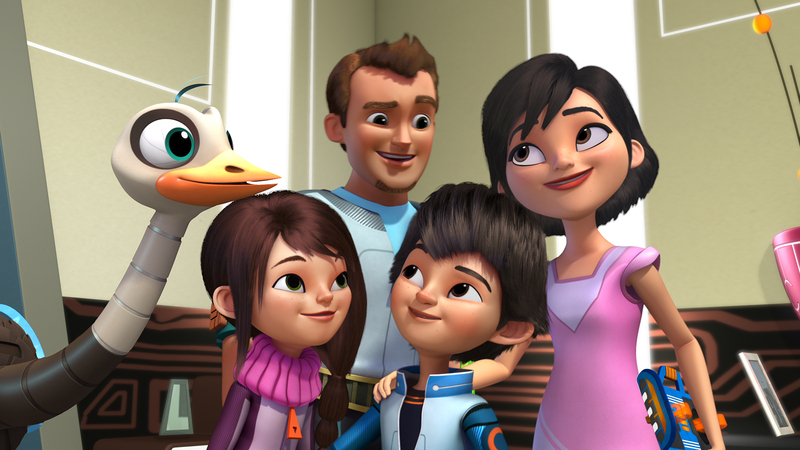 This Friday March 20 starting at 9:00 a.m. ET/PT on Disney Channel 3 new back-to-back “Miles from Tomorrowland” episodes premiere. These episodes air as part of Disney Junior’s “Triple Play Friday” programming event which features 3 back-to-back episodes of popular Disney Junior series airing each Friday throughout the month of March. In an effort to give Captain Phoebe a wonderful Captain’s Day, Miles, Loretta and Leo embark on a nearly impossible space-task. Then, during a mission to Antheia, a planet completely covered with orange plants, the Callistos discover something stranger than the plants. The Callistos encounter a pod of Quarkons blocking the Photon Superhighway. 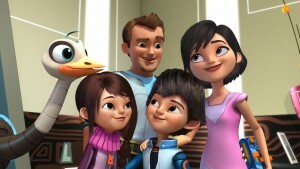 Then, when the Callisto family is accidently shrunken down by the Tomorrowland Mail-alien, the tiny family must work together to help Merc save an off-course starship. Miles helps scout out the perfect planet for his Earth friend Haruna to live on. Then, the Callistos must figure out how to escape when a giant Sporjot alien swallows the Stellosphere. 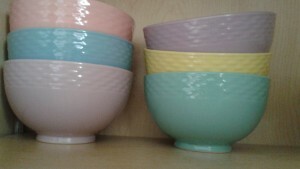 Francois et Mimi Ice Cream Bowl, Pastel Colors Set Perfect for Ice Cream & More! 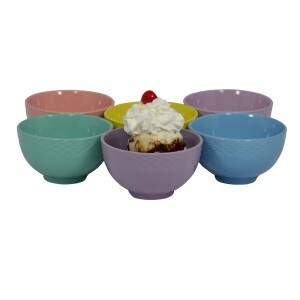 I absolutely love these Ice Cream Bowls! They are just the perfect size for cereal, small salads and especially desserts such as Ice Cream! I love the cheery bright pastel colors (pink, purple, lavender, yellow, teal and blue). They can be easily stacked so they don’t take up much room in my kitchen at all! These really have quickly become my go-to bowls and are also a big hit with my family. They make my other bowls seem rather boring in comparison. It’s also great that they are dishwasher and microwave safe and are made of Stoneware Ceramic. They are perfect for entertaining and are a Must-Have for family birthdays. The best thing is that they are great for everyday use but special enough for special occasions. More info: They are also Lead-Free. Self Disclosure: I received this set for free in exchange for an unbiased review. Top Photo Credit:Francois et Mimi. Bottom photo: SoCal City Kids.